Seafood has that incredible ability to transport us to the coast – even if we’re miles away from the shore. 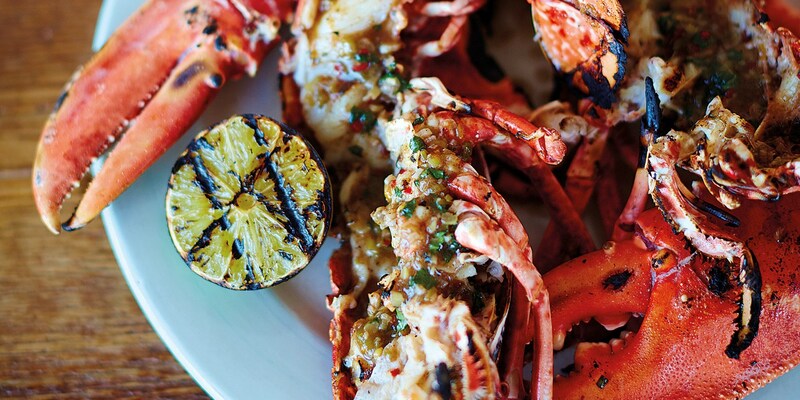 Take a look at our favourite seafood recipes, perfect for when the sun’s out and shining. The UK is one of the seafood capitals of the world. With 12,500 km of coastline, we have unrivalled access to an abundance of top-quality fish and shellfish year-round. While not all species and varieties are available in the summer, as long as you are buying from sustainable, responsible sources (local fishmongers are always a good bet) then you can enjoy the fruits of the sea throughout August guilt-free. Take a look at the recipes below, each of which highlight a type of seafood that can be sustainably sourced during late summer. Seafood – whether it’s shellfish, squid or octopus – has that inimitable ability to transport us to the coast, where we can soak up the sun and enjoy a glass of something cold. These recipes will recreate that special feeling wherever you are. 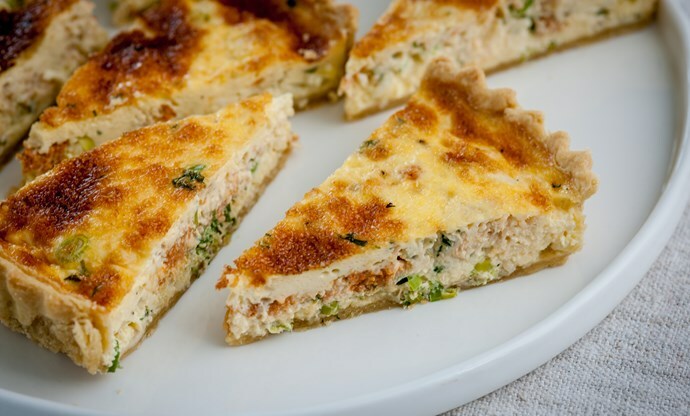 Nathan Outlaw’s crab and cheddar tart is a great weekend lunch, but preparing it in advance and packing a few generous slices into a hamper gives picnics a seriously indulgent twist. The sweet crab meat pairs particularly well with the sharp, tangy cheddar, making this a real winner of a dish. 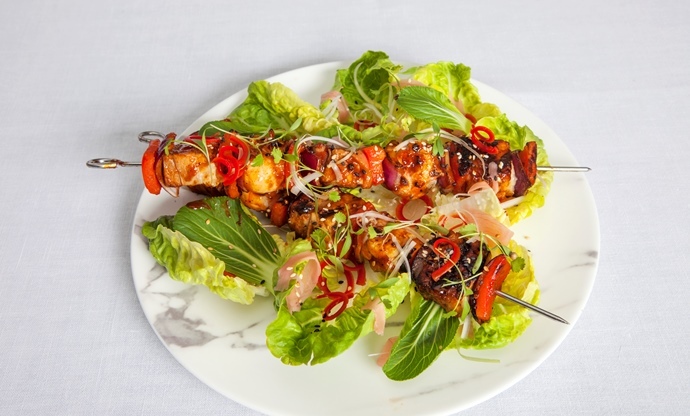 Luxurious langoustines and rich pork belly aren’t usually ingredients you would reach for when preparing kebabs for a barbecue, but they work in perfect harmony together. The confit pork complements the natural sweetness of the langoustine, whilst the peppers and onions add a satisfying crunch. The homemade barbecue sauce and ginger and lime dressing gives you a chance to show off your culinary credentials too. 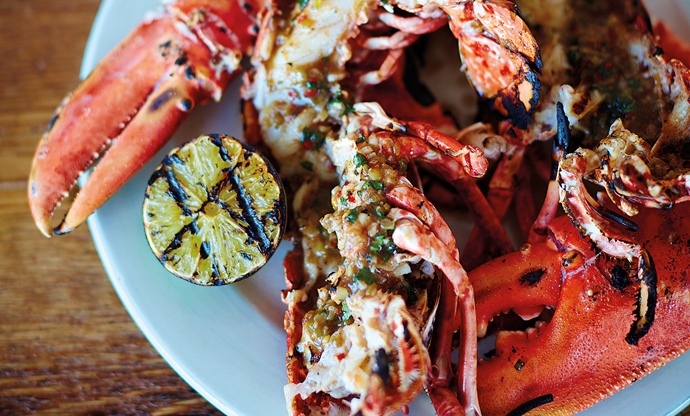 Add some Jamaican flair to your cooking with this jerk-seasoned barbecued lobster. The spices in the sauce certainly pack a punch but don’t overpower the incredible flavour of the lobster, ensuring a natural balance between the two. Serve some coconut rice on the side for an ideal accompaniment to this decadent dish. We don’t cook anywhere near enough octopus here in the UK, as most of what is caught is exported to other countries. 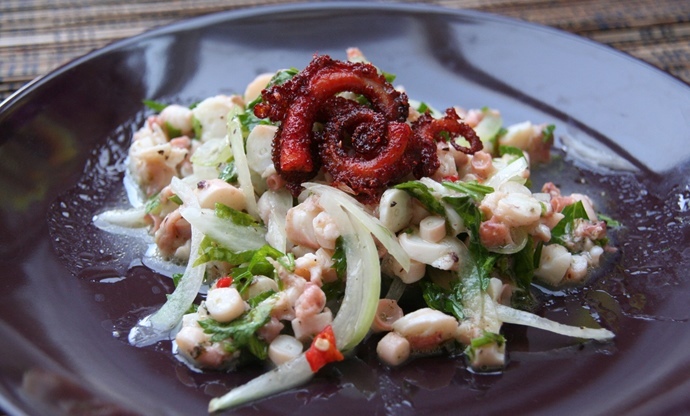 This marvellously simple salad puts the cephalopod centre-stage and shows that cooking it is nowhere near as intimidating as you might think. What’s more, the salad and vinaigrette can be whipped up in a matter of minutes, making this a great starter for your next dinner party. Stir-frying is a brilliant way of bringing lots of fresh ingredients together and capturing their flavour in one pan. This recipe assembles a symphony of prawns, baby squid and scallops, paired with refreshing batons of cucumber, lots of fresh herbs and aromatics – just the sort of thing you want to eat on a hot summer’s day. Scallops and bacon are a match made in heaven, and these ingenious savoury lollipops need nothing else. 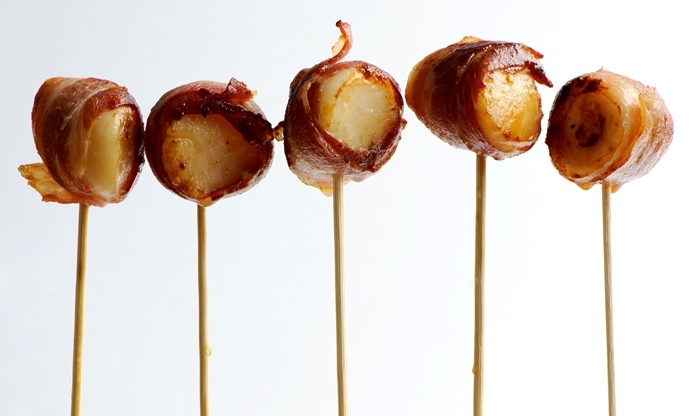 Simply flash-fry the bacon-wrapped scallops in butter until crisp, then pop them on the end of a wooden skewer and you’ve got the perfect party food. Making fresh pasta is always a rewarding experience, and a simple shape such as fettuccine is a doddle to create. 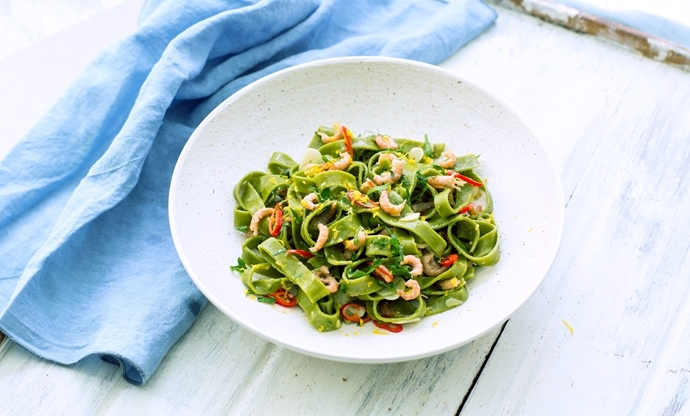 Mixing sorrel into the pasta dough doesn’t just give it a vibrant green colour; it acts as a perfect supporting act to the sauce, which is a simple concoction of brown shrimp, butter, garlic, lemon and chilli. 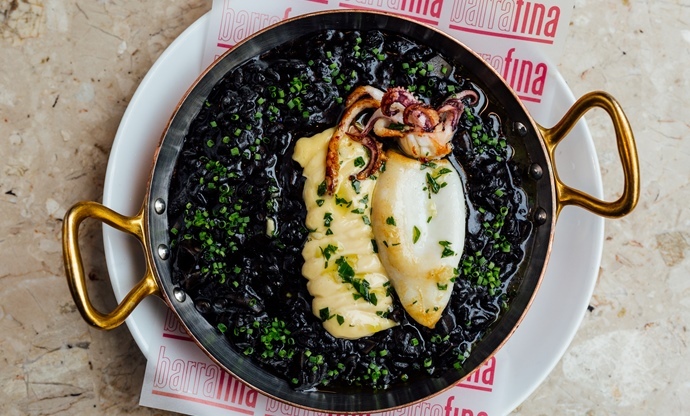 Arros nègre (squid ink rice) is a striking tapas dish that’s become an iconic Spanish staple. 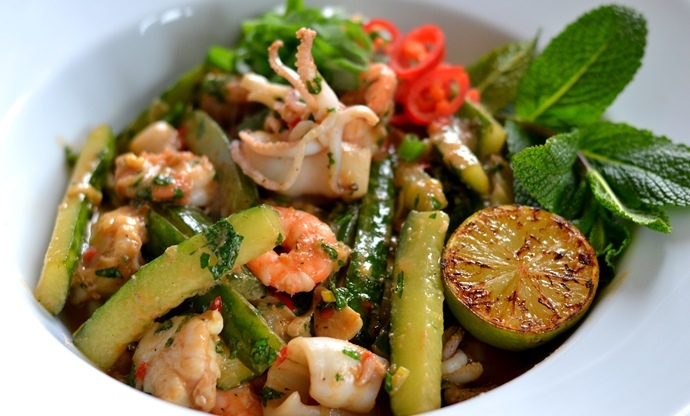 The diced cuttlefish is blended into the bomba rice to create an intensely flavoured and textured base, while the hearty dollop of all i oli on top is excellent for cutting through the richness of the dish. Fried mussels are the ultimate decadent summer treat. 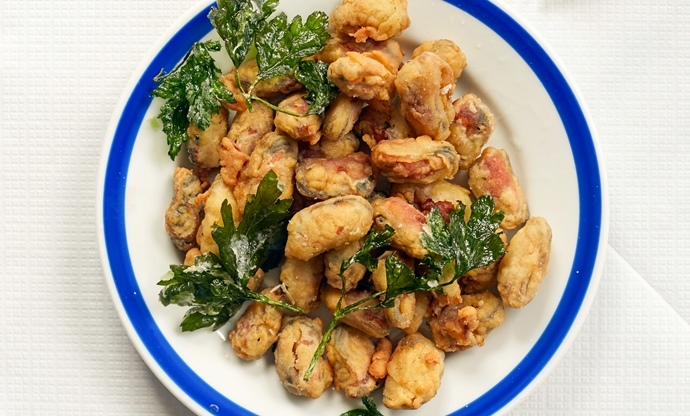 The light batter gives the mussels a wonderfully crisp outer shell, with each bite bursting with briny, saline flavour. If you make a big batch of these, they are the ideal finger food for any social gathering – think of them as seafood popcorn! 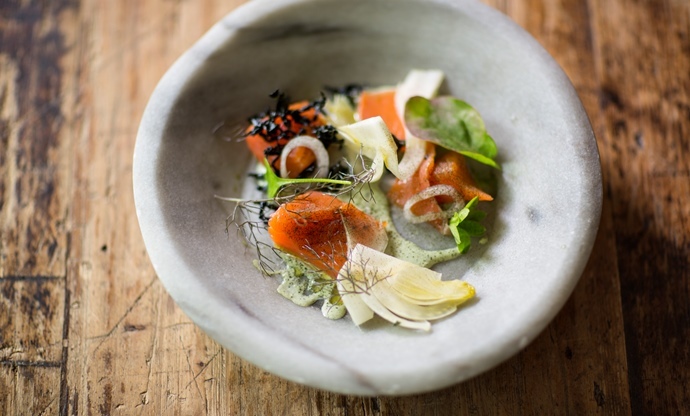 Cured and smoked salmon are easy to find at any time of year, but the oyster sauce is what makes this recipe special. Be sure to use rock oysters rather than the native variety, as they only come into season from September onwards.